Last December, I received an invitation from our good friends at Hotel H2O for the grand relaunch of their White Moon Bar. Unfortunately, I had to send them my regrets as the date fell on our office’s year-end activity. 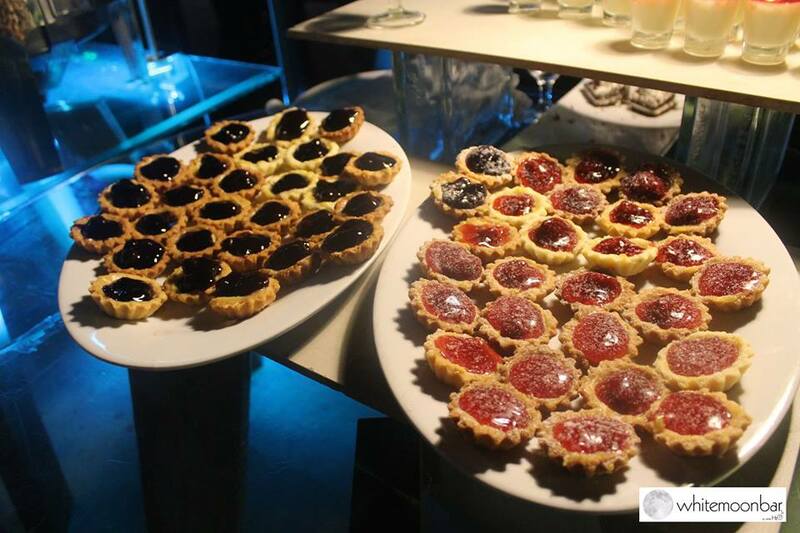 And, because I had a great experience attending one of their events early last year, I decided to take a peek on what happened to the White Moon Bar’s relaunch. Oh boy, I’ve missed a lot! 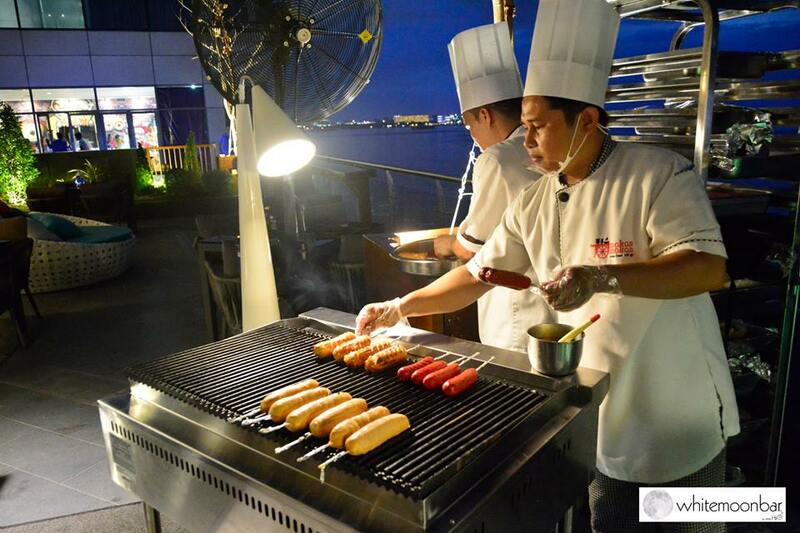 If you’ve ever been into Hotel H2O, you’d know that White Moon Bar’s location on the second floor of the Manila Ocean Park complex sitting directly on top of Manila Bay offers the best front row seat to one of the world’s most picturesque sunset with the vast water, boats, and ships as a background. Are you a sunset lover like me? I know no one who dislikes a perfect sunset. They reinvented the White Moon Bar with the hardworking urban professionals in mind. Like me, perhaps! Someone who prefers a calm sanctuary as an after-office hang-out place instead of loud parties and wild bars. It promises to provide a sweet escape from the daily stress we, corporate slaves as I put it, experience from work, pollution, and traffic. How it would be nice nga naman to cap our long day of hard work with some touch of nature, delicious food, and good drinks. 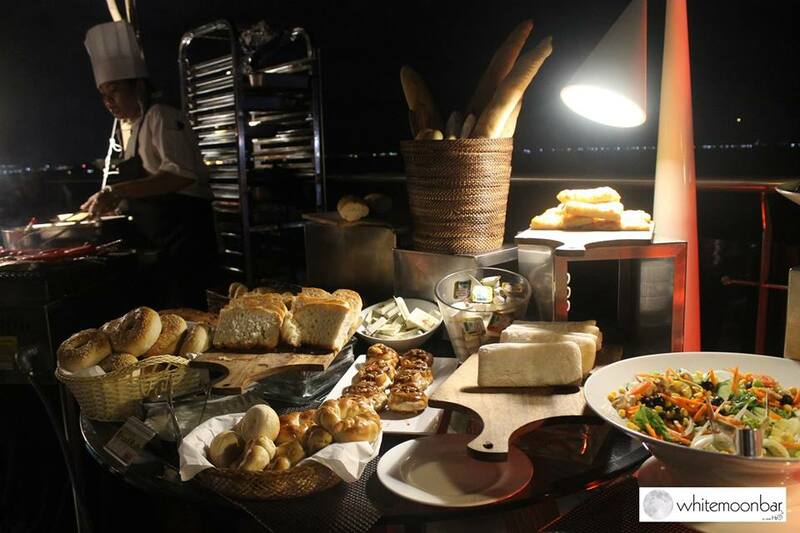 Looking at the pictures from their official facebook account, it’s easy to conclude that the White Moon Bar offers fresh breathe of air, literally and figuratively (Hotel H2O has been very active in its clean-up drive of Manila Bay), a relaxing ambiance and chill-out music mixed by an in-house DJ. 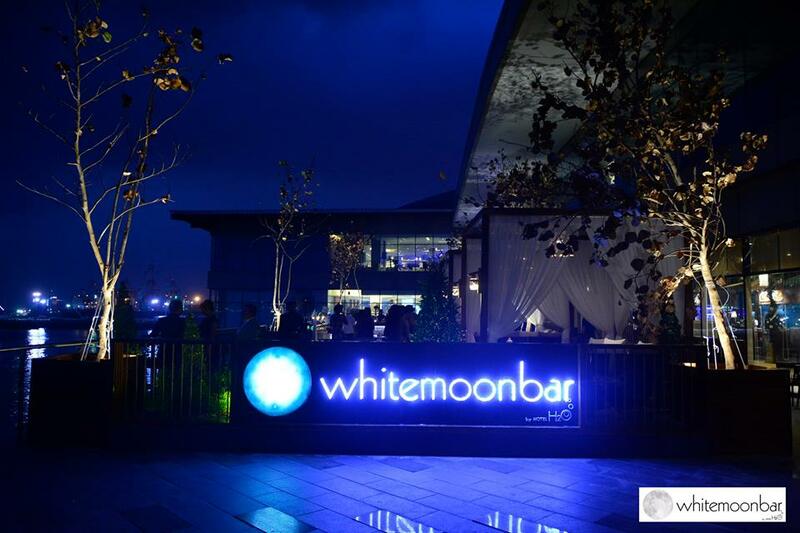 White Moon Bar is the third food and beverage outlet of Hotel H2O, Makan-Makan Asian Food Village being the most popular. The Bar promises not to disappoint anyone with its sophisticated yet modern, spacious and very cozy design, specialty drinks and cocktails, beer varieties, signature dishes, grilled entrees, canapes, dimsum choices, plates of seafood and other healthier options. In pictures, which are all grabbed from their official Facebook account, these are what I’ve missed! Congratulations to the team who pulled this off. I’m sure it was a huge success and I can’t wait to drop by the White Moon Bar when I visit Manila Ocean Park or Hotel H2O again. 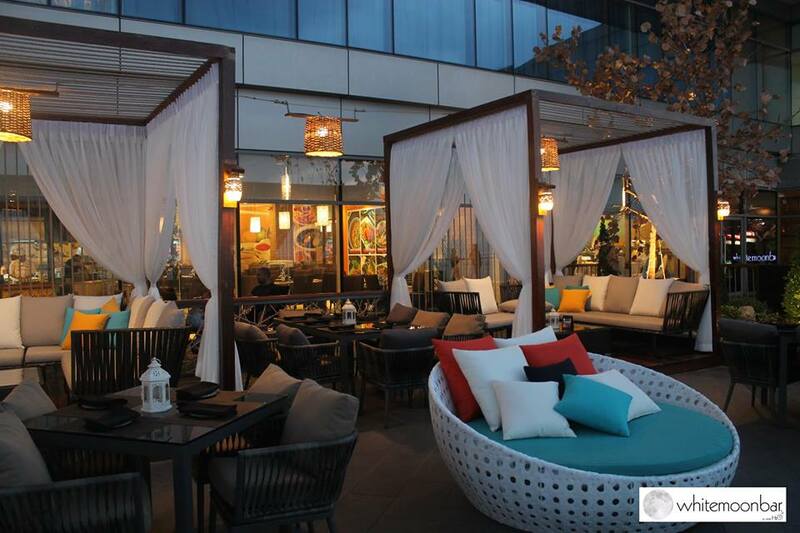 To all the hardworking corporate slaves out there, check this place out, truly an after-office chill destination! How tranquilizing it is to watch the city lights and the sea! 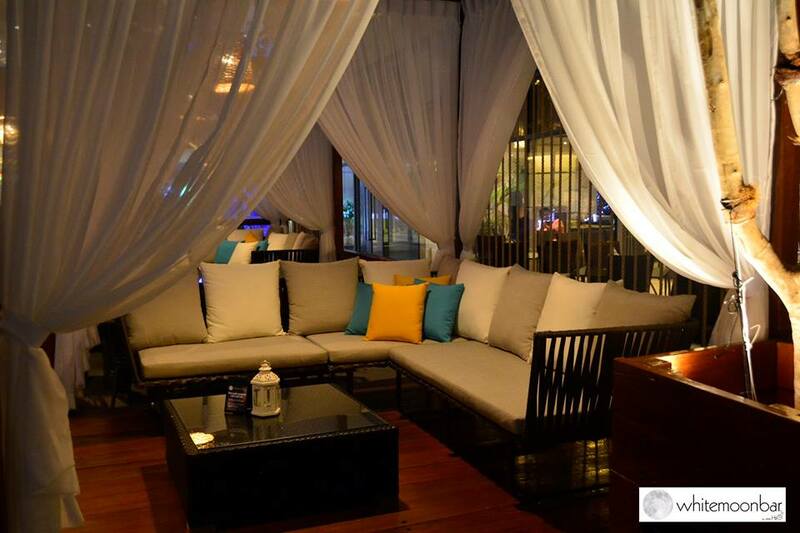 Perfect place for chika time with friends or kumares. I’d like a picture of me in that round white chair with lots of throw pillows! Drinks, anyone?! Seems like the Bar got it all for you. 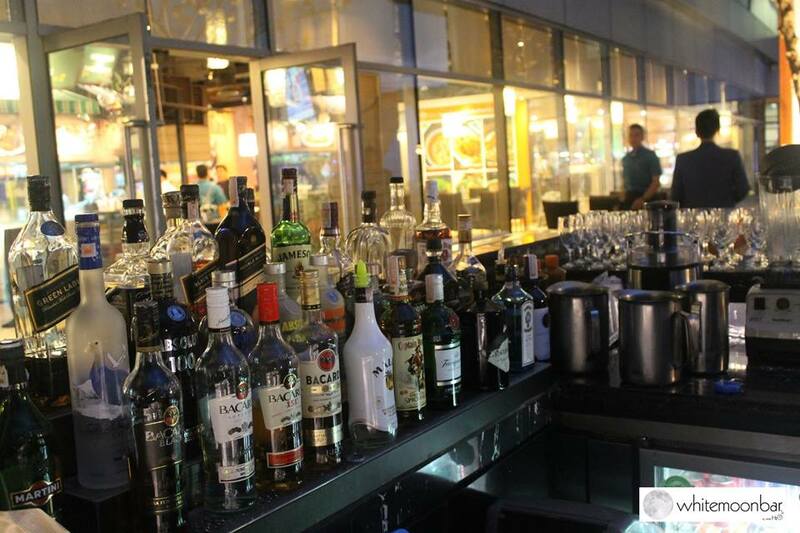 White Moon Bar by Hotel H2O is open daily, from 4 PM to 2 AM, Friday to Saturday; and 4 PM to 12 MN, Sunday to Thursday. The Bar is also available for private events. It can easily accommodate 80 people. For reservations and inquiries, call 0917-585-4835 or 02 386100, email r.vidad@hotelh2o.com. Visit their official Facebook account here.